Andrews Moses CEO/Founder of CloudChoice brings 5 + years of working with FreshDesk, and expertise to take our clients to the next level in maximizing their time and productivity. We listen to, and value our customers. As FreshDesk Consultants we find the key challenges that you are having and provide solutions to overcome these problems. 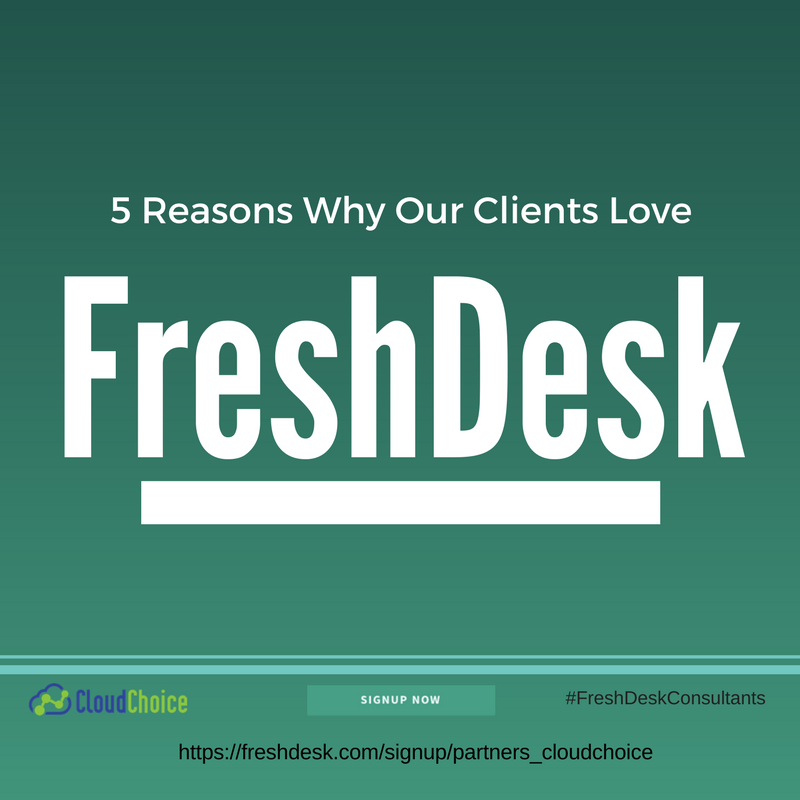 Here are 5 reasons why our clients love Freshdesk. Freshdesk has the ability to seamlessly manage live chat, phone, email, Twitter and Facebook, saving you time by eliminating the need to transition from platform to platform. With FreshDesk you can manage everything in a single interface. 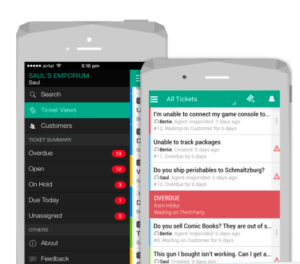 Furthermore, we make it easy for your customers to get everything they need from a single support channel. CloudChoice and FreshDesk will ensure that every customer is happy. We make sure that we answer every question you may have. Have a technical issue? FreshDesk also offers a variety of FAQ’s and community forums so that you can access an answer in a matter of seconds. We are also always here to help, just give us a call! Freshdesk flexibility makes moving to FreshDesk simple and easy. The last thing we want is for you to slow down your business because you are not comfortable with the application. Freshdesk can be customized to fit your needs. The FreshDesk interface can even be colour customized to ensure that it aligns with your company brand. Many of our clients love this feature because the transparency makes the product look and feel like their own application and not a third party source. Enjoy third party applications such as Google Calendar or MailChimp? Seamless integration with FreshDesk allows you to continue using your favourite apps alongside FreshDesk. If you cannot find an app to fit your needs, FreshDesk gives you the ability to work with the development team to create a custom application that aligns with your business needs. Are you always on the go? FreshDesk is available on your mobile device so that you can answer your customers fro m anywhere in the world. Our clients love this feature because even on the go, FreshDesk ensures that it is business as usual and you don’t miss any customer inquiries.